It always happens. Every year an abandoned space is transformed into a spectacular store that we look forward to since there's so much to see and play with. 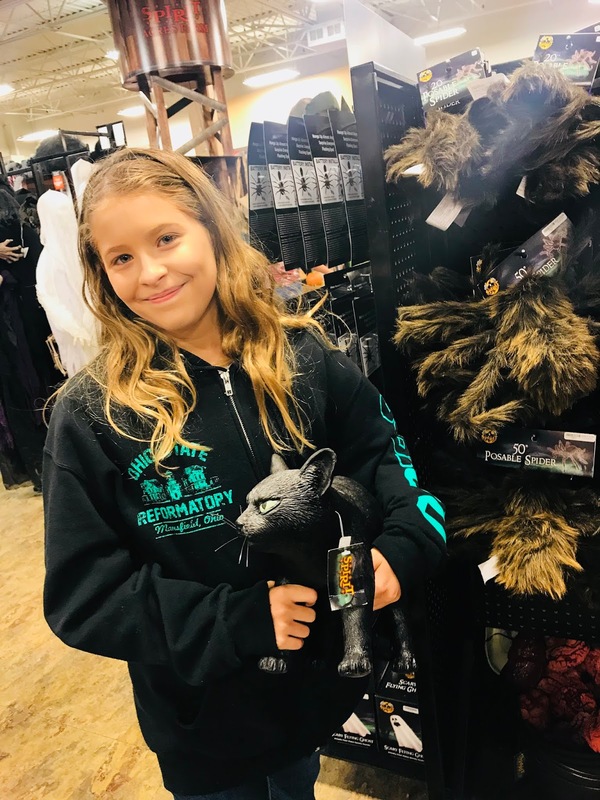 Yup, it's the Spirit Halloween store! It's always fun to press down on the step here circles and see what happens. I admit, I jump most of the time even if I know something is coming. "Look, it's Slimer!" Natalie shouted. "He's so cute!" We also found Bob Ross costumes. My son loves Bob Ross. "He makes the best ASMR videos!" He actually will fall asleep to Bob Ross videos because his voice is so soothing. 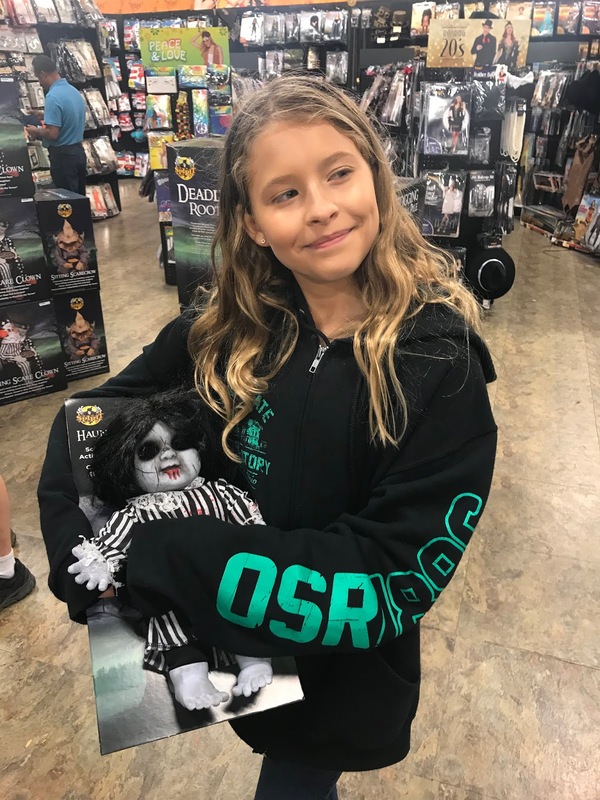 "Look at this creepy doll. I should name her Gert. She looks like a Gert." There was also a haunted house set up. It just had different lights inside so you see how they work. I was paranoid something was going to pop out at me. Good gracious, this dog scared me. It popped out of its house and my husband was like, "What did you THINK was going to happen?" Speaking of my husband, he tends to get embarrassed by our antics. There he goes walking away pretending we aren't his family. Oh well. We still have fun. "Look, I'm a dragon from that show you won't let me watch because you say it's not appropriate for kids." "I've always wanted a black cat!" I told the kids to pose with Jack and Sally so we didn't have to stand in line forever to meet them at Mickey's Not So Scary Halloween Party. Seriously, the line to meet them can get up to 3 hours and there's just no way. There's also a pretty neat Hocus Pocus section. We love the movie. And then finally I told Tommy to pretend like he was pulling Natalie. Since Tommy has autism, it's hard for him to pretend so he was like, "Huh? Do I really pull her?" and I'm like, "No, just act like you are," and he's like, "So I don't really move?" So what did we end up buying? 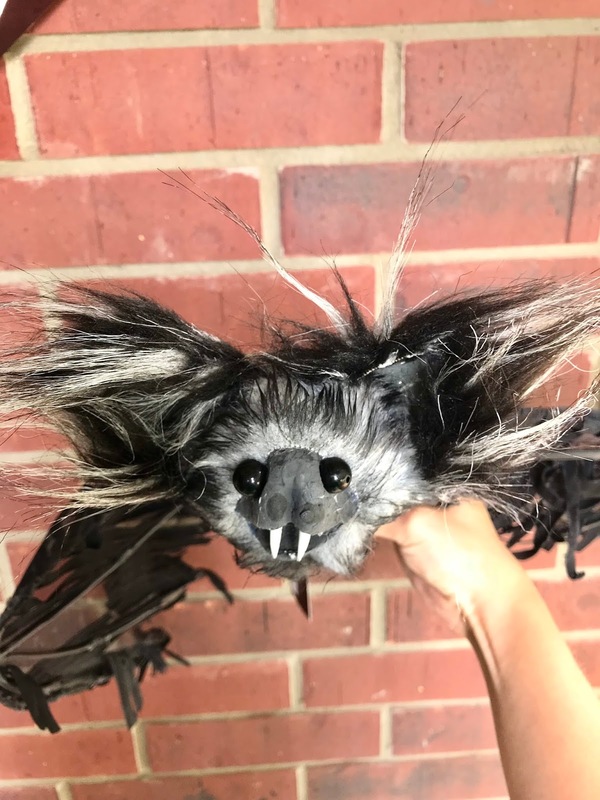 Well, we want an animatronic, but we don't have an extra $100+ to spend, so we went with this bat. Make sure you sign up for the Spirit Halloween mailing list. They'll send you a 20% off one item coupon! Sometimes you get other deals! Happy Shopping! 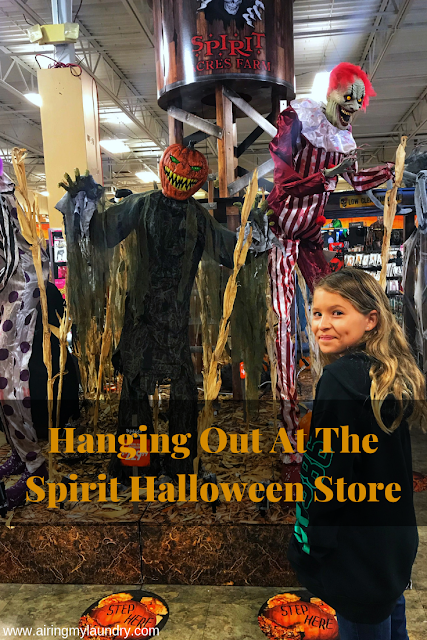 Do you like the Spirit Halloween store? Wow this store looks awesome with lots of interesting stuff inside! 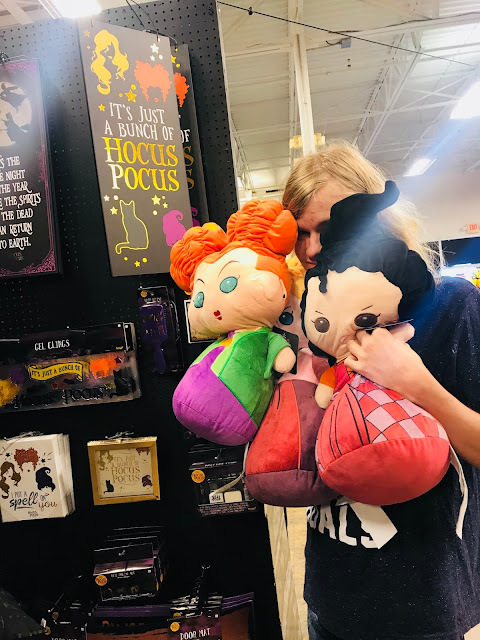 I love those Hocus Pocus plushes, they look sooo adorable! Gus actually looks pretty cute too, LOL. Have fun on Halloween, you guys! This reminds me to stock up on candies for the kids in my apartment for Halloween as they have started celebrating this in India as well. The store looks awesome, would love to have something of that sort here. The items are quite interesting. They are capable of acting as catalysts to creative activities. I'm sure the kids enjoyed the outing. This post reminds me Halloween is coming. We don't usually celebrate Halloween in Singapore but it is certainly fun to see how other part of the world celebrate this fun occasion. 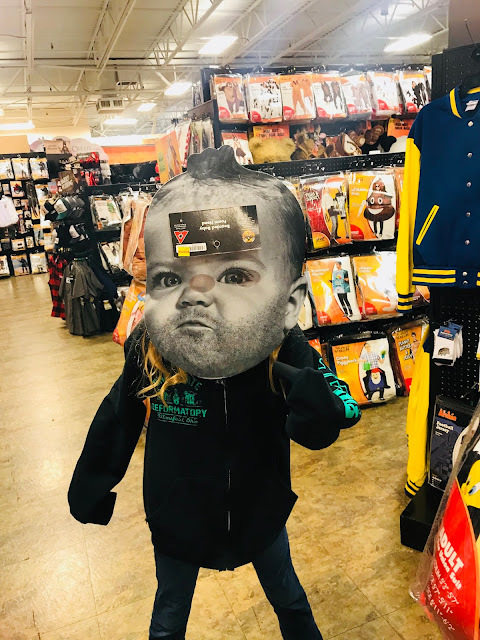 We love going to Spirit Halloween every year. They have so many amazing decorations there! We love seeing it all. They have so many fun/scary decorations and costumes! Even if I know it's coming, I jump every single time something pops out at me. I never realized that would be a fun place to explore! Fun activity! 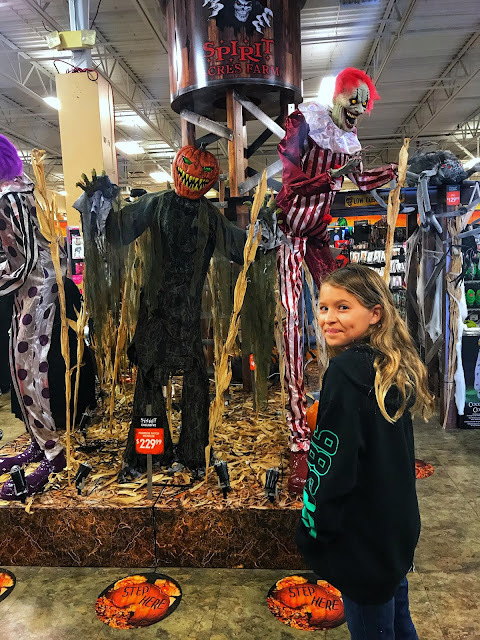 Halloween really isn't my thing, but with that being said I do like to go to the different stores and see all the interesting things they do for Halloween. I saw a witch display that was awesome. Some great ideas out there. This store looks so much fun! Halloween can be fun! If you actually have friends to share the experience with :p I'm hoping to one day get to experience Halloween in the US. It's so much bigger there than here in Sweden, but it's also really hard to know when Halloween is here. Most people do it on all hallows eve/all saints day, which is wrong, but sadly not many people here understand that. Halloween is my favorite holiday, so I could spend a while paycheck in this store! So much fun stuff! Halloween can be so fun, especially for kids. My son is just getting to the age where he can enjoy it! I would never think that a simple trip to the store can be an activity like this, but you showed that it can be! Great advice! My kids like Halloween, but they are still in the cutesy phase where they do not like super scary Halloween stuff. It looks like this store has a lot of options! I love Halloween but unfortunately in India we don't have Halloween but I loved the things your kids got. The store is so sweet. A store entirely dedicated to Halloween is something I had not seen before! Amazing though! All the freaky costumes and goodies! I guess Halloween is just around the corner! 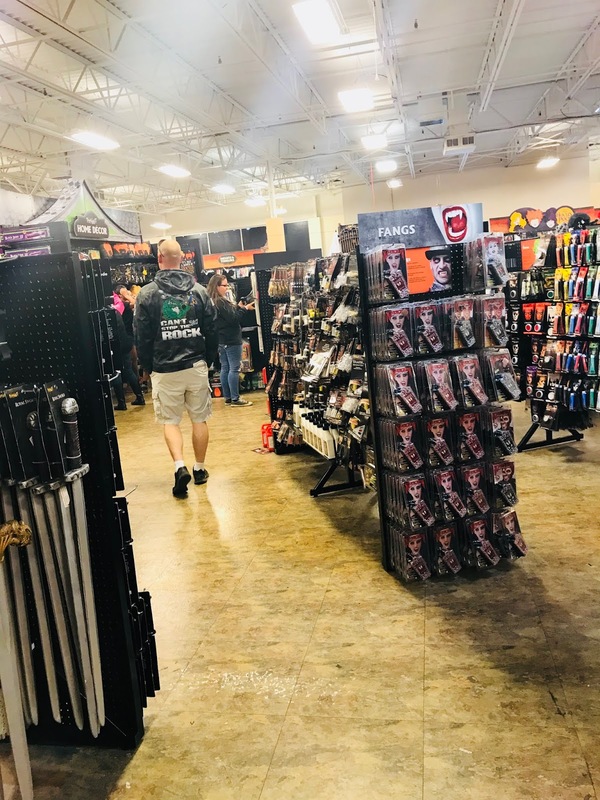 We also have a store here that becomes a Halloween store at Halloween. I don't normally go in it, but I may have to this year to see if they have a Hocus Pocus section. It's one of my favorite Halloween movies! I love going to Halloween stores! There's always so much cool stuff and decor there. 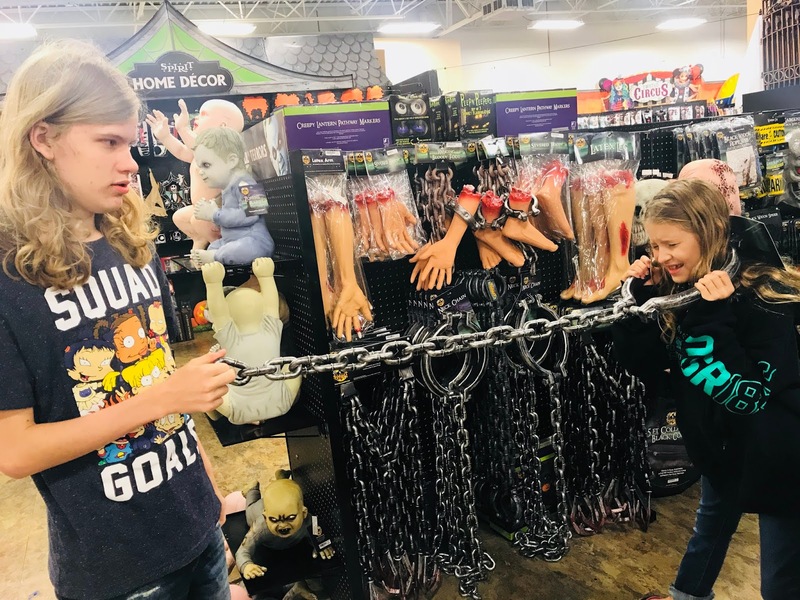 We have so much fun at spirit halloween every year. 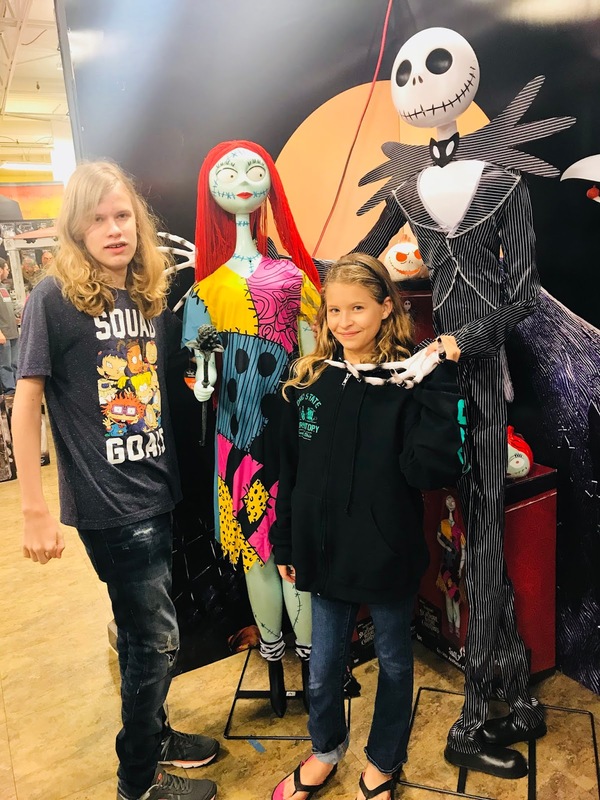 They have so much cool stuff to get spooktacular! Now this looks like such an awesome store! I've never heard of it before but I totally want to go now! How awesome is Natalies costume as well! I love this store so much, It's so fun to walk through, like a feast for the eyes. I am definitely planning a visit with the kids soon to get ready for Halloween. Oh I need to check out our local Halloween store. Your daughter is just too adorable! I love the Saw movies. One of the few movies that really creep me out but I watch them all anyways! 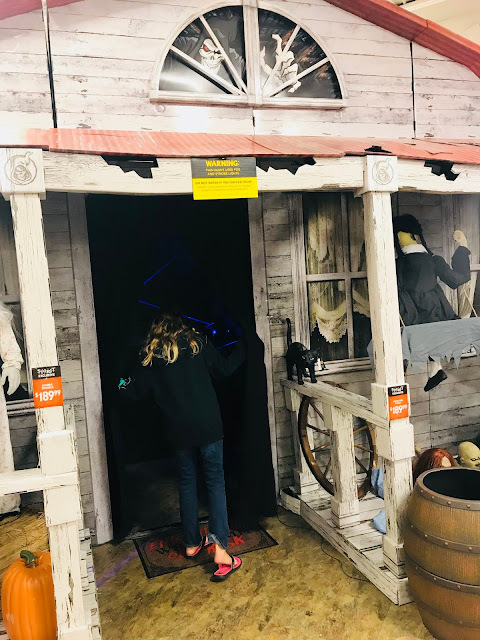 I love this Halloween store, it's so much fun to wander around! Gus is too cute. Halloween is one of my favorite times of year. I can’t wait to go shopping for customs and Halloween decor. YES. We go for a family trip every fall. We plan to go this week! I hope ours has a haunted house too. Halloween stores are always a fun idea. They have some really cool decorations and costumes! My kids always make me take them to the local store here. They could spend all day in it. This entire post was so darn entertaining. Your daughter went from a scary clown to Jigsaw? She has NO fear! 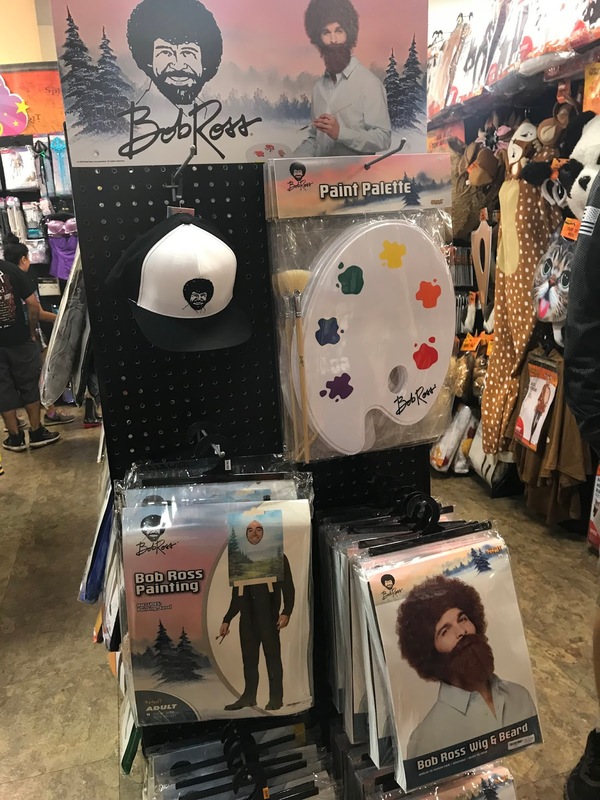 Also, the Bob Ross costume is hysterical!!! Oh my gawd Saw!? That creepy clown gave me nightmares!! The other stuff at the Spirit shop were funny. I live ion the UK and we do not embrace Halloween as much as Americans do, which I think is a real shame, as I love it. This store looks amazing and I am actually thinking of designing something for me and my daughter. This makes me wish I was home for Halloween. Australian's just don't do Halloween the same as Americans. It's always been my favourite holiday and I struggle with the lack of decorations here. Oh yes!I just love Halloween festivals, Just by seeing such in movies...unfortunately, we don't celebrate Halloween here. Anyway, the store has so much stuff. And the costumes are as great too! Sounds like you guys had tons of fun. I too would definitely get spooked once in a while inside that store if we ever visit it. 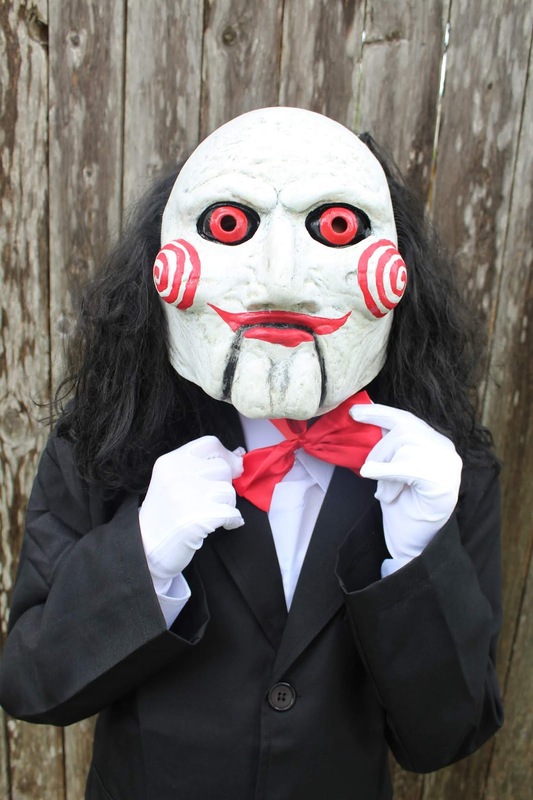 Your daughters costume is great, a real Halloween spooky vibe to it. Natalie was such a great actress. Her photo with Tommy really looked like she was in pain! 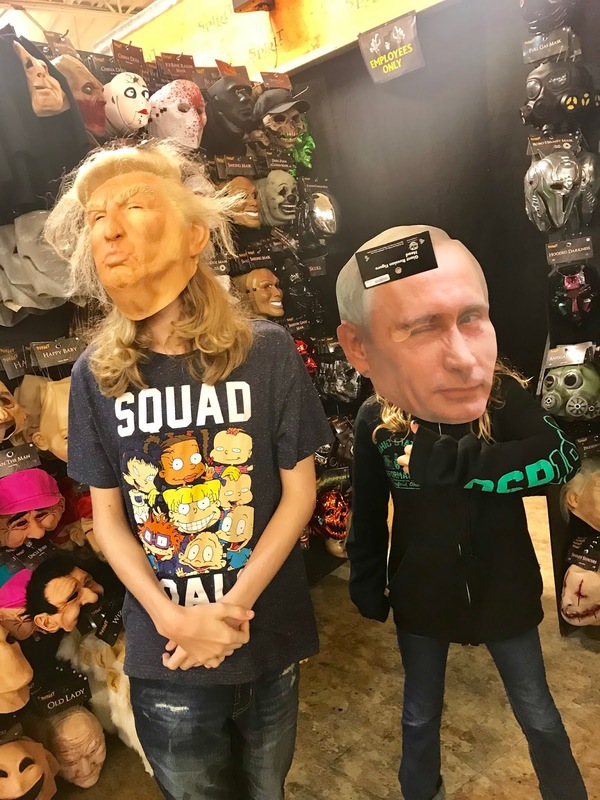 And the Trump and Putin masks! lol! :D I have no words for that one. thanks for sharing this one. I had fun reading and looking at the photos. Looks like a very fun place to visit. Great pick with that bat. Also, if I wasn't read about Natalie's costume, I wouldn't knew it was her in the picture. That mask really is really a great costume. I was just talking to my kids about what they wanted to be for Halloween. Time to choose! Love that store and LOVE Halloween! I'm already decorating my cube at work. Thanks for the tip about the coupon! 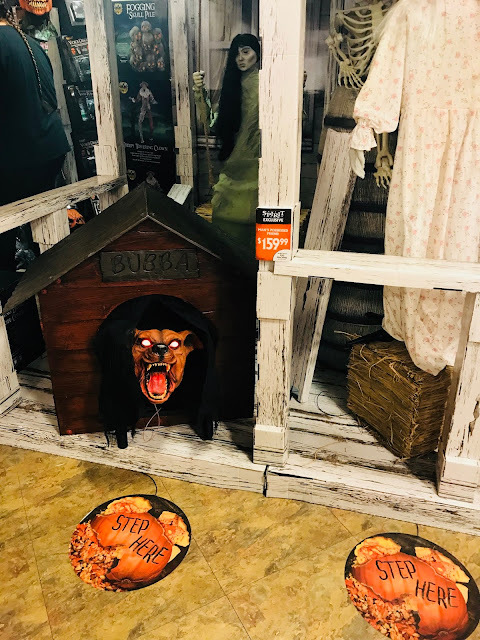 It does look like such an awesome and fun Halloween store. 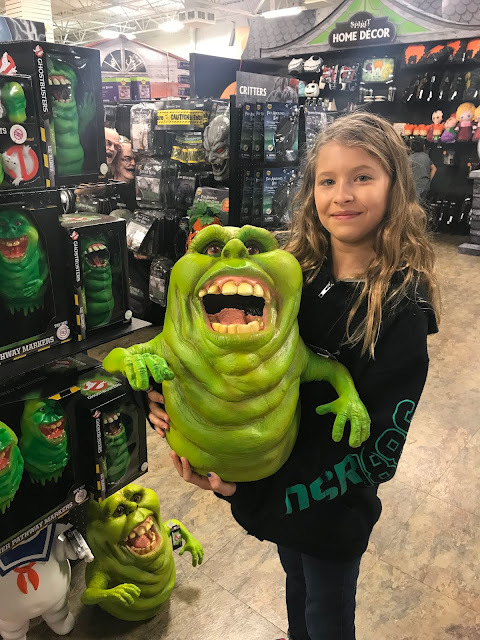 I think the Slimer character they have from Ghost Busters is awesome. And the one from Saw is pretty intense. Very nice! We love this store! We have already been three times and it is still September! omg that store looks perfect for Halloween , looks like you all had fun shopping there . 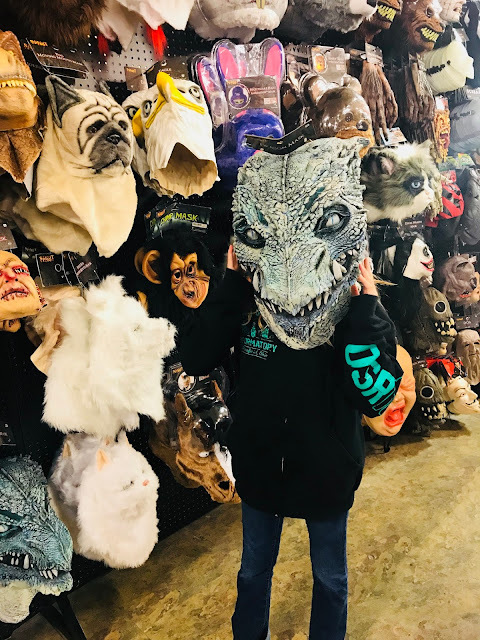 It's always so much fun to go to stores like this! Also, I'm very excited for the Halloween. There's so much to love about this store! 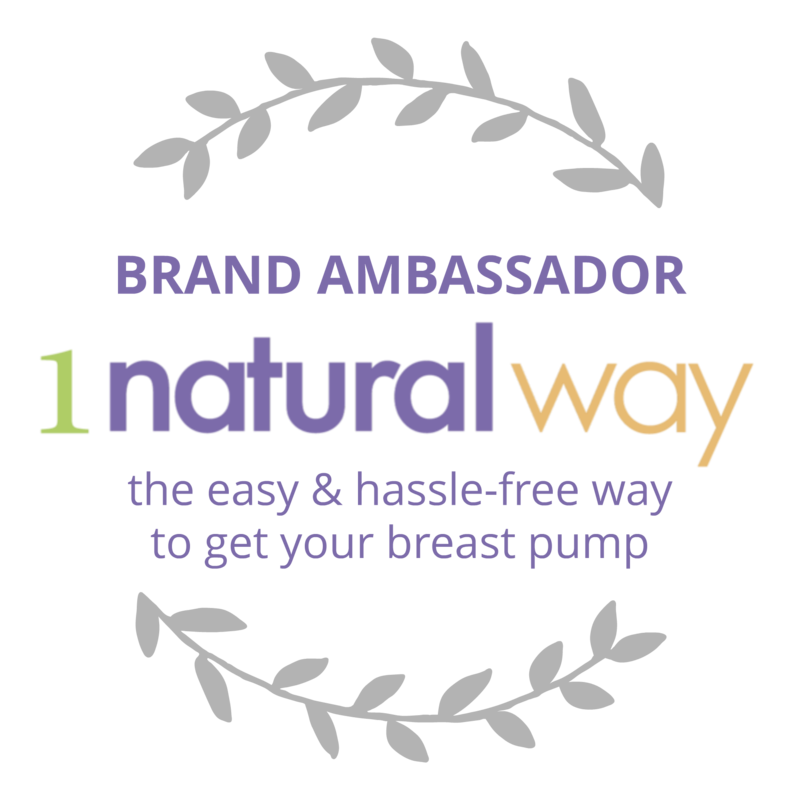 I love Natalie's energy!